I think I can safely say most of us like a good cup of tea and I can think of no better way to start this thread off than by exploring the birth story of Tea…which... according to the history books …was discovered as far back as 2737 B.C. Legend has it… Chinese Emperor Shen Nong... a skilled ruler and scientist... accidentally discovered tea. While boiling water in the garden... a leaf from an overhanging wild tea tree drifted into his pot. The Emperor enjoyed drinking the infused water with its unusual and delicious flavour. He felt invigorated and refreshed and as a scientist... this serendipitous event compelled him to further research the plant whereby he found tea to have medicinal properties. And so... the first cup of tea... generated by the mighty leaf... was created by accident. 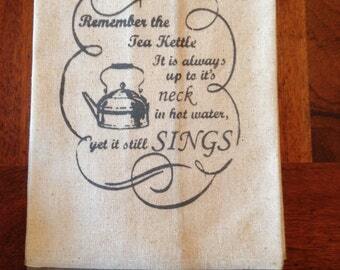 Well…whether it’s true or not…there’s no denying tea is one of the most sought after beverages in the world. For all you tea lovers…here’s a link if you care to read up more about this delightful leaf…. Something passed down through the generations. One of these days cranky...you'll have to spin the teapot for me...it's fascinating!! Is their something in spinning the teapot? I have seen many older ladies doing this and wondered why. I suppose it could be the same as the bushies swinging the Billy around their heads three times. Some people like to add milk after the tea is poured and some put the milk in first and then the tea. I'm a tea first and milk after person. For me it depends on how the tea is made...If it is authentic and brewed in a teapot I always put in the milk into the cup first.. I used to have a neighbour cranky who read coffee grounds...I agreed to a reading once...but I must have been very hard to read...her prediction did not come true...I think it must be better to use tea leaves..
You turn the teapot three times clockwise and three times anti-clockwise and allow it to infuse for about three minutes before you serve ...... It helps the tea leaves to stir and helps to pass the time whilst you are waiting for the tea to draw and it makes it appear to your guests that you are undivided attention to the tea you are about to serve them. Pouring in milk into the cup first not only stops the cup from staining .... also when milk is exposed to high temperatures, such as being poured into a cup of piping hot tea, its proteins tend to degrade, or "denature", producing a slightly stale taste. Thanks ladies, very interesting news. I have aquired a taste for Green Steamed Tea from Tetley. It says on the pack it is made differently to other Green Teas which are roasted. The leaves are steamed to capture a healthy taste --just like steaming veges. It is high in antioxidants. Thea -- Love your picture of the Blue Wren. I have some English Farthings which have the Wren pictured on them. Thea -- Just got my car back after having a full service - Hurrah - nothing to be done . It must be our lucky week. Cheers. Loved Christopher Plummer as well. Heard that he and Julie Andrews have been married recently. Good luck to both of them. Hola...now I can tell you...I kept my fingers crossed for you re your car...so glad you came off as lightly as I did!! I just love the Blue Wren too Hola and have tea cloths...hand towels etc with pictures of them...I give them to overseas friends also. Like you..I am as pleased as Punch Christopher Plummer and Julie Andrews finally tied the knot..apparently they kept their friendship going for the past 50 years...and did you know Julie Andrews always travels with her tea kettle!!! By the way..I've never tried the steamed Tetley tea...I shall certainly give it a go. Abby -- Have you ever watched a Japanese Tea pouring ceremony? There is great tradition attached to it. It goes back hundreds of years. They use Green Tea as well. I have never been to a Japanese restaurant, I think getting down on the floor would be quite difficult and getting up would be quite laughable, the old girl's knees aren't what they used to be. What a day it's been...even my birds demanded brollies. Buckets and buckets pelted down...still... it was good to have an excuse to snuggle down in my favourite chair and read...while sipping a nice cup of tea of course!! Mother’s Day…such a special time….I was wondering the other day about the origins of this lovely celebration…so did some rummaging around and found out that…the modern American holiday of Mother's Day was first celebrated in 1908, when Anna Jarvis held a memorial for her mother in Grafton, West Virginia, US. Her campaign to make "Mother's Day" a recognized holiday in the United States began in 1905, the year her beloved mother, Ann Reeves Jarvis, died. Anna’s mission was to honour her own mother by continuing work she had started and to set aside a day to honour mothers, "the person who has done more for you than anyone in the world." Anna's mother, Ann Jarvis, was a peace activist who had cared for wounded soldiers on both sides of the Civil War and created Mother’s Day Work Clubs to address public health issues. Whilst the tradition for giving gifts on Mother’s Day was well established in the United States since 1908, it didn't begin in Australia until 1924. The tradition of giving gifts to mothers on Mother's Day in Australia was started by Mrs Janet Heyden, a resident of Leichhardt, Sydney, in 1924. She began the tradition during a visit to a patient at the Newington State Home for Women, where she met many lonely and forgotten mothers. To cheer them up, Mrs Heyden rounded up support from local school children and businesses to donate and bring gifts to the women. Every year thereafter, she raised increasing support for the project from local businesses and even the local Mayor. 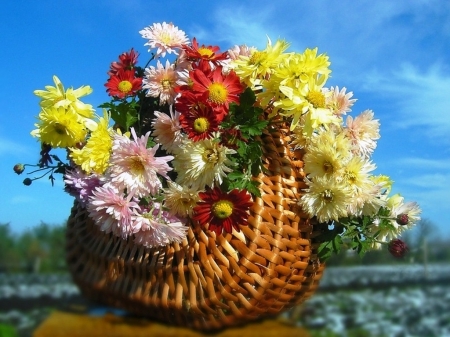 Traditionally, the chrysanthemum is given to mothers for Mother's Day as the flower is naturally in season during May and ends in "mum", the shortening of "mother" in Australia. In earlier times men also showed their appreciation for their mothers by wearing a chrysanthemum in their lapel …. Here’s a link if you’d like to read the rest….. I don't want to spoil the mood, but I must comment. I have been to a few tea pouring ceremonies in China, mostly green, but some black, but I have never seen any milk there. I don't have milk or sugar in my tea anyway....just prefer to taste the leaf! Really enjoyed reading your thread Thea. Hope you have a lovely time on your mystery day out tomorrow! 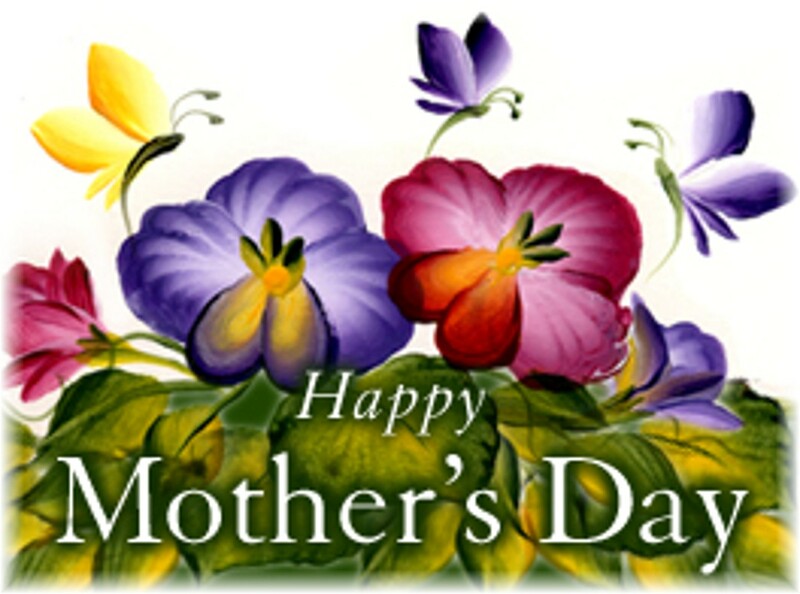 To all the wonderful Mums out there. No one can argue with that so we should be safe sitting in our quaint little tearoom..
Have a wonderful day cranky...I'm having a mystery day out too. It's been raining cats and dogs here today...so I'm hoping it's not an outdoors celebration. Still...must grin and bear it if the heavens open!!! I know you're going to have a wonderful Mother's Day...how did I know that? Well a little bird told me what you are getting up to! Aaaah...peace ...my last little visitor went home this morning and now it's time for a cuppa... hope you all had a nice Mum's Day. Mine was noisy but lovely...my surprise outing was thankfully indoors at the Crown Perth Chinese restaurant "Silks" where I was treated to a sumptious Yum Cha. Now...it appears there is no co-incidence the restaurant is called "Silks" because I found out the Chinese tradition of "yum cha" began in Canton province where there was an abundance of teahouses to accommodate weary travellers journeying along the famous Silk Road. Rural farmers.. exhausted after long hours working in the fields... would also head to the local teahouse for an afternoon of tea...a bite to eat and... relaxing conversation. I'm so glad they did...because Yum Cha is one of my favourite indulgences!